From Nino’s Bakery owner Miranda Rinaldi: “Nino’s Bakery will be opening this fall 2017 at 1310 L St NW. Steps from Franklin Square, we encourage our neighbors to take a break from the office and indulge in the simple elegance of artisan pastries and chocolates made from scratch. Nino’s Bakery is named after the owner’s dachshund whom she adopted while living in Italy. During his years in Milan, Nino attempted to enter every bakery in the city in his search for pastries. Now that he has come to America, Nino is finally getting his own bakery, which sadly he still cannot enter. 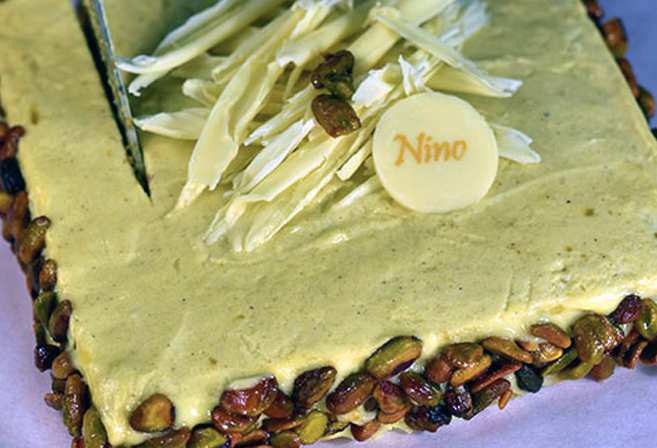 So give yourself a moment of bliss and enjoy a pastry for Nino.” STAY TUNED.